What’s one of the more common scenarios for picking up a speeding ticket besides simply being leadfooted? Apart from accidentally letting the speedo creep up because you’re looking at the road ahead rather than at the dial (avoidable with cruise control, of course), the other time speeding tickets happen to nice well-behaved drivers who weren’t meaning to go too fast and wanted to keep to the limit is when you’re driving in an unfamiliar town or (even more annoyingly) a part of town that you knew but has recently been redeveloped. You know how this one goes. You’re toddling along through town and then you get to a bit that looks like the houses are coming to an end and you’re getting into more rural areas so you press the accelerator down a wee bit to get up to 70 km/h. Or you know that there’s a town coming up ahead but it still looks like you’re in market garden and lifestyle block land so you keep your pace up a bit. but next thing you know, there’s disco lights in the rear view mirror and you’re getting a ticket. Because what you thought was now a 70 km/h area actually wasn’t one at all and you should have been doing 50 km/h. Dagnabbit! However, they can’t afford it and they probably need the revenue from those speeding tickets (we all know this happens) so they rely on the traffic signs – the lollypop signs, as we call them in our house. What every driver needs is a navigator in the passenger seat whose job is to keep an eye out for said lollipops and remind the driver. This is precisely what traffic sign recognition is supposed to do for you when you’re driving alone. 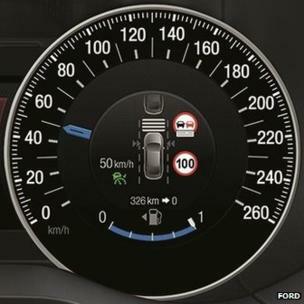 It keeps a lookout for those traffic signs and displays what the current speed limit is on the dashboard display. When I first heard of traffic sign recognition technology, which is now a safety feature or driver aid in a lot of high-end luxury cars like Mercedes and BMW, I groaned a little bit. Not because I didn’t like the idea of having a feature that let me know what speed I’m supposed to be going but because I had this dread that the technology would pick up on every single sign on the road ahead and display that. Information overload isn’t good for decision-making processes so this sounded like more of a distraction than a help. The cynical part of me also wondered when they’d monetize this so that certain ads or signs would pop up, notifying you of particular businesses ahead – the dreaded golden arches, for example. However, I needn’t have worried. The designers are all too aware that most modern roads are awash with signage, which is why it’s so easy to miss those lollipops in the first place. The tech uses pattern recognition technology, so that it only picks up on actual traffic signs – the ones with the white backgrounds and a red circle around them, with the number displayed in black. The software and the front-facing camera home in on these patterns and can recognise the numbers, and it’s this that gets displayed on your dash. The software can also pick up useful signs like Give Way, Stop and No Entry – and warn you if you go ahead anyway! The exact tech goes through a very complicated process to extract the necessary data at the right speed – my eyes started crossing while trying to wrap my head around it, so I won’t attempt a simple explanation here. If you’re the more nerdy sort, then here’s the low-down. Traffic sign recognition (aka traffic sign assistance or TSA) is quite a handy little feature and it’s no longer found exclusively in high-end executive saloons. It’s found in new versions of familiar little family cars like the Ford Focus. In fact, there’s a rumour going about that this will become mandatory on all new cars sold in the EU from 2022 (2020 is just next year, so this is no longer the Big Benchmark and planners will lose their favourite pun about 2020 vision). At this stage, at any rate, the vehicles are sticking to the basic signs rather than adding in all the safety warning signs. 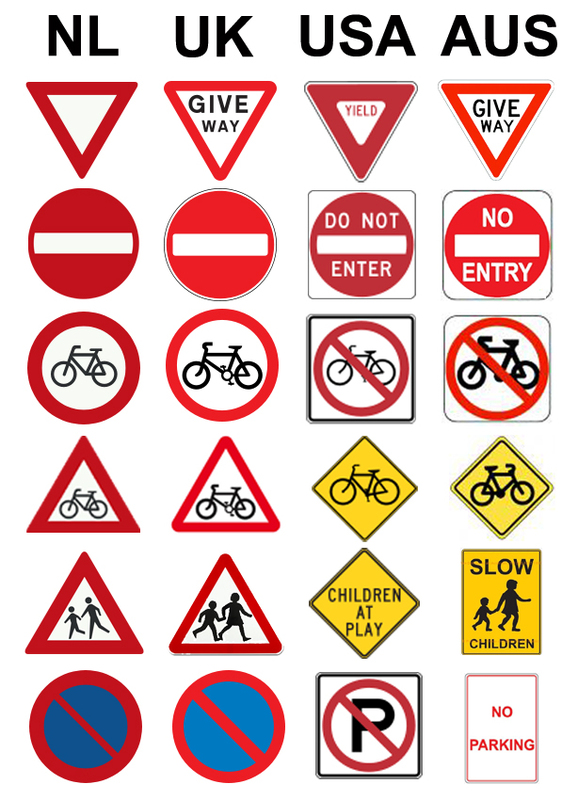 This is partly because traffic signs around the world vary somewhat. Software that recognises a Swedish polar bear warning sign would be useless in Australia, where we have kangaroo warning signs, for example. What’s worse is that even signs that mean the same thing vary slightly from country to country. But what happens if the sign in question is obscured by vegetation or has been shot out of recognition or knocked down by some hoodlum? Well, the software can’t recognise what it can’t see, so once again, you’re back to your visual cues. At least you can try arguing that the sign was obscured to the cop. It sometimes works, especially if you did see the edge of the sign but couldn’t read it thanks to a tree. If you’re unlucky, they’ll spend your speeding fine on clearing that vegetation or upgrading the sign.